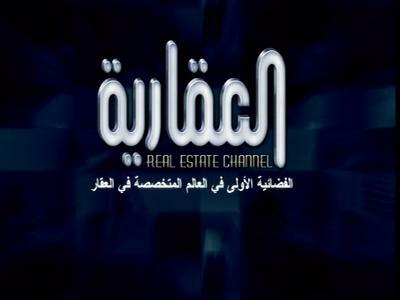 A new channel has started in DVB-S Clear: Al Aqariya (United Arab Emirates) on 12398.78MHz, pol.V SR:27500 FEC:5/6 SID:4121 PID:4122[MPEG-4]/4222 Arabic. A new channel has started in DVB-S Clear: Al Aqariya (United Arab Emirates) on 11976.82MHz, pol.V SR:27500 FEC:5/6 SID:1 PID:106/306 Arabic. A new channel has started in DVB-S Clear: Al Aqariya (United Arab Emirates) on 11976.82MHz, pol.V SR:27500 FEC:5/6 SID:28 PID:3031/3032 English. Al Aqariya has left 10872.62MHz, pol.V (DVB-S SID:8023 PID:1623/2623 Arabic), it is no longer transmitted by satellite in Europe. Al Aqariya (United Arab Emirates) broadcasts in DVB-S Clear on 10872.62MHz, pol.V SR:27500 FEC:5/6 SID:8023 PID:1623/2623 Arabic. Al Aqariya has left 11602.85MHz, pol.H (DVB-S SID:224 PID:641/642 Arabic), it is no longer transmitted by satellite in Europe. New FEC for Al Aqariya on 11602.85MHz, pol.H: FEC:5/6 ( SR:27500 SID:224 PID:641/642 Arabic - Clear). New frequency for Al Aqariya: 10872.62MHz, pol.V (DVB-S SR:27500 FEC:3/4 SID:8013 PID:1613/2613 Arabic- Clear). A new channel has started in DVB-S Clear: Al Aqariya (United Arab Emirates) on 11602.85MHz, pol.H SR:27500 FEC:3/4 SID:224 PID:641/642 Arabic. Al Aqariya has left 11353.51MHz, pol.V (DVB-S SID:1004 PID:402/403 Arabic), it is no longer transmitted by satellite in Europe. Al Aqariya (United Arab Emirates) broadcasts in DVB-S Clear on 11353.51MHz, pol.V SR:27500 FEC:5/6 SID:1004 PID:402/403 Arabic. Al Aqariya has left 11353.51MHz, pol.V (DVB-S SID:1033 PID:3302/3304 Arabic), it is no longer transmitted by satellite in Europe. Al Aqariya is back on 11353.51MHz, pol.V SR:27500 FEC:5/6 SID:1033 after a break ( PID:3302/3304 Arabic - Clear). A new channel has started in DVB-S Clear: Al Aqariya (United Arab Emirates) on 11353.51MHz, pol.V SR:27500 FEC:5/6 SID:1004 PID:402/403 Arabic. Al Aqariya has left 11746.66MHz, pol.V (DVB-S SID:105 PID:1005/1205), it is no longer transmitted by satellite in Europe. Al Aqariya (United Arab Emirates) broadcasts in DVB-S Clear on 11938.00MHz, pol.V SR:27500 FEC:3/4 SID:2808 PID:4081/4082 Arabic. A testcard identified Al Aqariya has started in Clear on 11747.00MHz, pol.V SR:27500 FEC:5/6 SID:105 PID:1005/1205. Al Aqariya switched to DVB-S at 12725.00MHz, pol.V SR:27500 FEC:3/4 PID:2551/2552 Arabic. New frequency for Al Aqariya: 12111.00MHz, pol.H (DVB-S SR:27500 FEC:3/4 SID:6 PID:3161/3162 Arabic- Clear). A new channel has started in DVB-S Clear: Al Aqariya (United Arab Emirates) on 11074.00MHz, pol.H SR:27500 FEC:3/4 SID:1 PID:5000/5001 Arabic. New frequency for Al Aqariya: 11938.00MHz, pol.V (DVB-S SR:27500 FEC:3/4 SID:2808 PID:4081/4082 English- Clear). A new channel has started in DVB-S Clear: Al Aqariya (United Arab Emirates) on 11747.00MHz, pol.H SR:27500 FEC:3/4 SID:6504 PID:131/132 Arabic. New PID for Al Aqariya: PID:131/132 Arabic SID:2103 (12226.00MHz, pol.H SR:27500 FEC:3/4 - Clear). A testcard identified Al Aqariya has started in Clear on 12226.00MHz, pol.H SR:27500 FEC:3/4 SID:2103 PID:63/66 Arabic. A testcard identified Al Aqariya has started in Clear on 12226.00MHz, pol.H SR:27500 FEC:3/4 SID:2103 PID:131/132 Arabic.